Shon Boublil is a classical and jazz guitarist as well as a physicist. He holds a four years Bachelor’s degree with the highest distinction from Berklee College of Music in Boston and a physics degree from Concordia University in Montreal. He is now completing his Master degree in Science and physics education at Laval University. 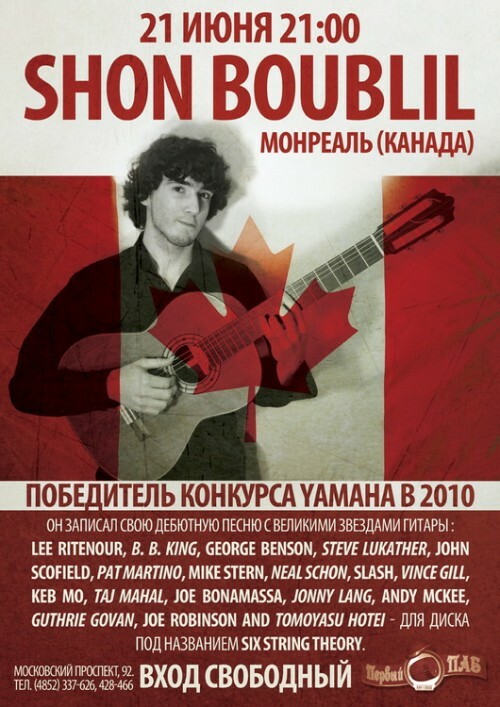 Shon is the Grand Prize winner of the Lee Ritenour, Yamaha Six String Theory international guitar competition 2010 in Santa Monica and has made his debut recording on Six String Theory CD along with Lee Ritenour, B. B. King, George Benson, Steve Lukather, John Scofield, Pat Martino, Mike Stern, Neal Schon, Slash, Vince Gill, Keb Mo, Taj Mahal, Joe Bonamassa, Jonny Lang, Andy McKee, Guthrie Govan, Joe Robinson and Tomoyasu Hotei. Shon received the Berklee Guitar Department Achievement Award and an additional scholarship to study at Berklee Valencia in Spain. He also received an exceptional scholarship to study with Alvaro Pierri at the Villecroze Music Academy in France. 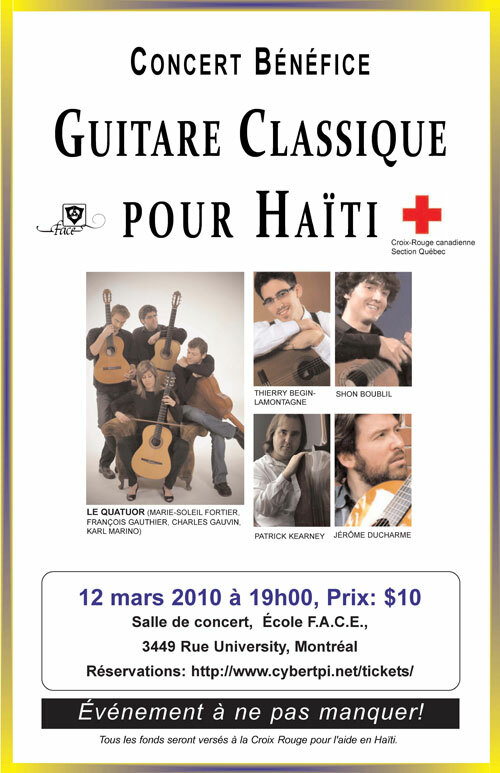 In 2010 Shon organized the first benefit concert of classical guitarists for Haiti with the participation of LE QUATUOR (Marie-Soleil Fortier, Francois Gauthier, Charles Gauvin, Karl Marino), Thierry Begin-La Montagne, Shon Boublil, Jérôme Ducharme, Patrick Kearney. All proceeds from the concert were donated to the Red Cross. Over the past two years, Shon has participated in many private and public concerts in the US, Russia, France, Spain, and Canada. Prior to Berklee Shon participated in Sounds of Hope benefit concert at the Oscar Peterson Hall in Montreal, opening concert of the International Guitar Competition of Montreal 2010, Villecroze Music Academy final concert in France, benefit concerts and in cafe concerts in the Old Cities of Quebec and Montreal. 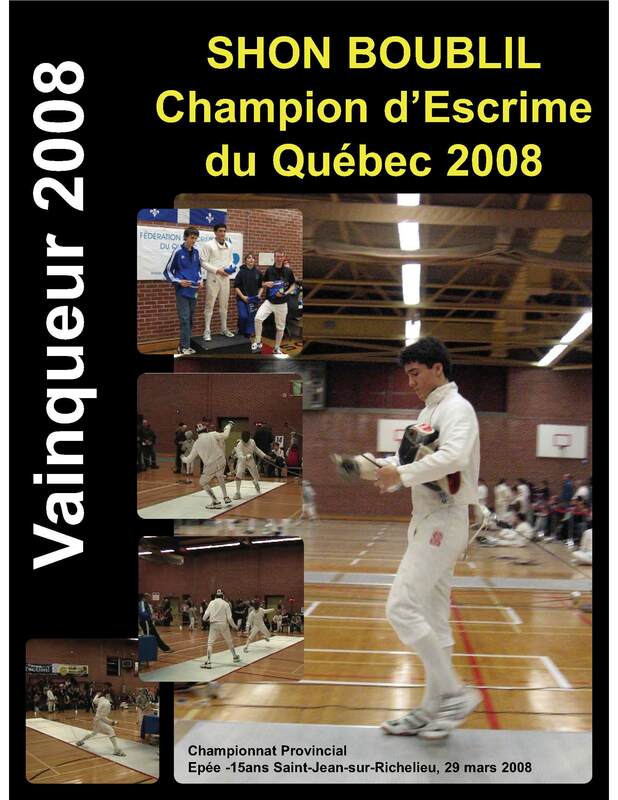 Sports: Fencing (3 times Quebec Fencing Champion, Epee), Sailing (Albacore, Laser I, White Sail I, II, III, Canadian Power & Sail Squadrons License)- a member of the Canadian Forces Sailing Club CFSA.